A new blood transfusion strategy developed on the battlefields of Iraq and Afghanistan looks like the best way to save civilians bleeding out from severe wounds, a new study reports. A blood transfusion "recipe" containing equal parts plasma, platelets and red blood cells is the most effective treatment for someone who is in immediate danger of bleeding to death, compared to a blood mix containing a larger amount of red blood cells, researchers found in a clinical trial published in the Feb. 4 issue of the Journal of the American Medical Association. The new mix, known as 1-1-1 for its balanced blood product ratios, more effectively combats the impact of blood loss and uncontrolled bleeding, the researchers reported. The U.S. Department of Defense developed the recipe to save wounded soldiers' lives, and made it part of its clinical practice guidelines in 2004, according to study author Dr. John Holcomb. He is director of the division of acute care surgery at the University of Texas Medical School. 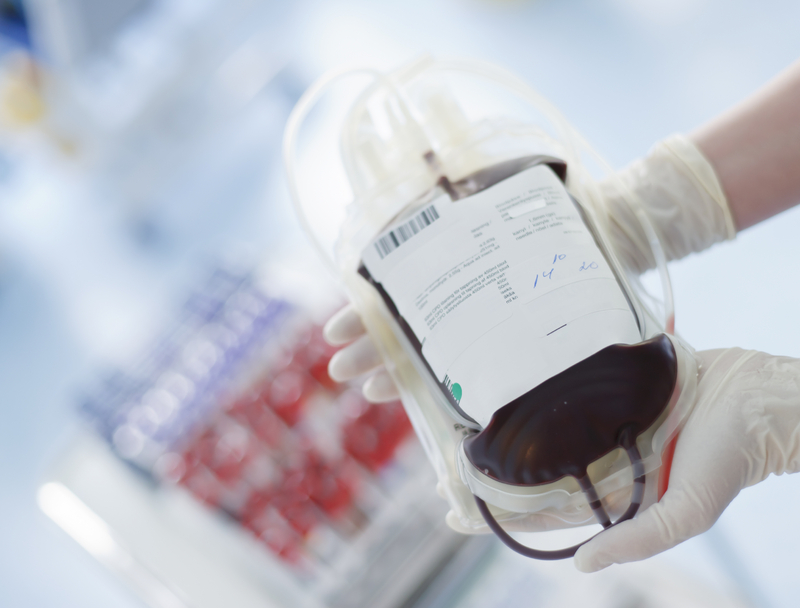 While many major U.S. trauma centers have adopted the new blood recipe, this is the first clinical trial to compare its effectiveness in saving lives to the type of transfusion that previously had been most widely used, Holcomb said. "This idea started on the battlefield, and it was translated into the civilian world," said Holcomb, who is a retired colonel in the U.S. Army, where he served as a senior trauma surgeon and the Army Surgeon General's trauma consultant. "Now we've done a high-quality study to make sure that our observations on the battlefield hold true." Hospitals used to use a blood transfusion mix that contained one part plasma and one part platelets to two parts red blood cells, Holcomb said. Plasma is the protein-rich liquid in which the rest of the blood's components are suspended. Platelets are small cell fragments that help form clots during bleeding. Red blood cells carry oxygen out to the body's tissues, and bring back carbon dioxide to be exhaled. Both plasma and platelets play a role in blood's clotting ability. Doctors had gone with the earlier blood formula out of concerns that recipes containing more plasma or platelets would increase a patient's risk of harmful blood clots, organ failure, blood infection or decreased red blood cell counts, said Dr. Robert Glatter, an emergency physician at Lenox Hill Hospital in New York City and a spokesman for the American College of Emergency Physicians. "These complications can also lead to hospital-acquired infections and increased length of hospital stay, adversely affecting patient outcomes," Glatter noted. But medics in the Armed Forces found that a blood mix with equal parts plasma, platelets and red blood cells appeared to work better in the field for treating wounded soldiers, Holcomb said. They dubbed the use of the new mix "damage control resuscitation." "I think it more closely replicates whole blood," Holcomb said of the new recipe. Whole blood was used in transfusions from World War I up to around the Vietnam War, he noted, before doctors began using more intricate mixes of blood components. In a clinical trial at 12 North American rural hospitals, doctors randomly assigned 680 severely injured patients requiring a massive transfusion to either get the traditional red blood cell-heavy mix or the new equal-parts formula. The new formula reduced a person's immediate risk of bleeding to death, researchers found. Extensive blood loss was significantly decreased in the group receiving the new mix, and doctors were able to halt bleeding in patients who received the even blend. There also appeared to be no major safety concerns stemming from the new blend, the researchers reported. However, there was no significant difference in overall death at 24 hours or at 30 days between the two transfusion strategies. Despite that, Glatter said, "it was clear from the study that more patients in the 1:1:1 group had their bleeding controlled sooner, with fewer dying from massive blood loss at 24 hours." He added, "The fact that there was a lower percentage of deaths related to blood loss and no differences in safety argues strongly that medical providers should use a 1:1:1 transfusion protocol, instituting the initial units in the early minutes while patients are actively bleeding, with a transition to lab-guided data once bleeding is effectively controlled." Holcomb estimated that as many as four in five trauma centers now use the new mix. "That's a real change, certainly from a decade ago, when nobody did that," he said. "This has been a significant change in practice over the last decade, and I think our study shows it's been a good one." At this point, Glatter suggested, it may be time for local hospitals to adopt the new blood transfusion recipe, particularly for patients with extensive bleeding. "We know that time is critical in massive hemorrhage, so the sooner a 1:1:1 protocol is instituted, the higher the chance of a better outcome," he said.